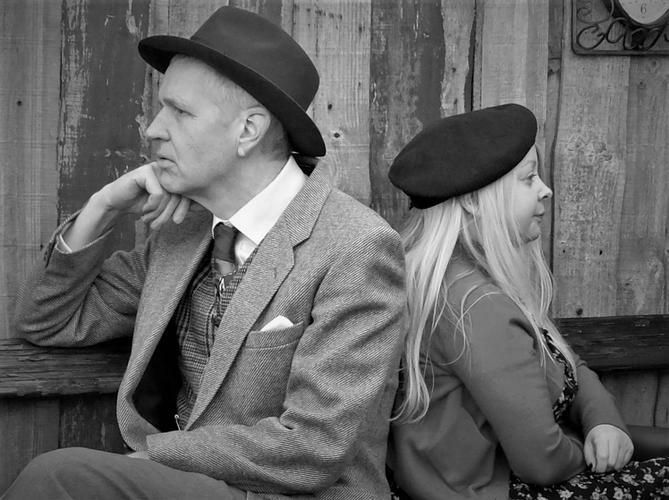 Eric (Steve Cooper) and Kylie (Sophie Osborne) are The Doodlebags, a newly formed duo who play old songs in a care home. So, their audience is made of old people with dementia. Through nice songs, funny moments and flashbacks about the life of some of them (Steve and Sophie play multiple roles) this musical comedy is a reflection of how dementia changes and transforms the life of people and of their carers. There are grossly 900.000 people affected by dementia just in the UK, and this story is based on the real story of Steve who cared for his mother-in-law. And many of us have a familiar or know somebody who is touched by this problem. So, it is very welcome that theatre helps people to understand dementia, and it does it in such a nice, delicate, tasteful and sensitive way. A fast paced movement through 1940s music and the heart breaking shattered lives of those with dementia - done with great northern humour and humanity. Well worth catching.